I'm a huge fan of oatmeal raisin cookies. I tried making a vegan batch maybe last year and they turned out ok. I'm all for chewy cookies fresh out of the oven. What I will say about this recipe is that the cookies will still be chewy the next day. As you guys know, I love creating better alternatives for you guys. 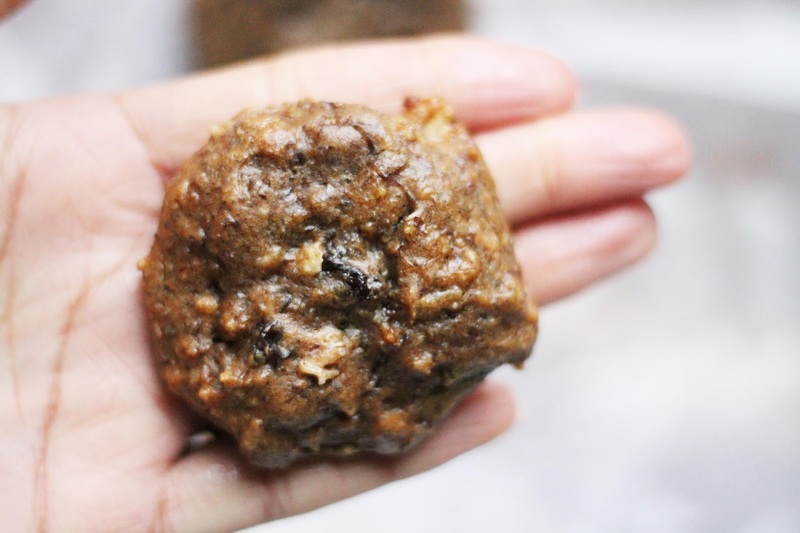 This recipe doesn't require any oils and doesn't have any refined sugars. Which I love. 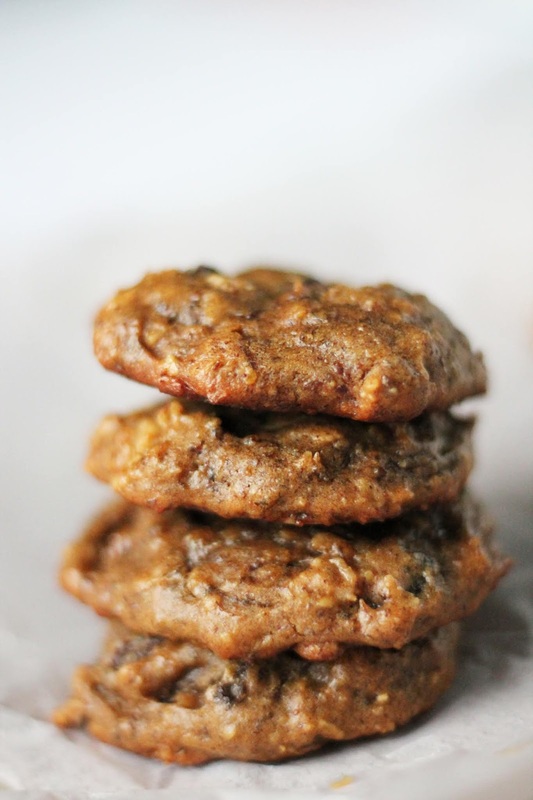 This has to be hands down one of my favorite homemade vegan cookie recipes. I've played around with the metrics of the ingredients during my quest to enjoy these yummy treats and this is the portions that worked best for my desired texture. In the same bowl with the flax egg, add the peanut butter, maple syrup, cinnamon, oats, vanilla, and baking soda until well combined. I have a couple relatives that are vegan and I know they're always looking for great ideas to make. I think they would love this one. I have a cousin who is a vegan and I often worry about what I could offer to her when she comes over, this is such a great treat! Thank you. I have made several different types of flourless cookies before and they all taste good. Will have to try your recipe out for the family. I have never made a flourless cookie before. They look tasty. I will have to put them on my must make list! I need to try these for sure. I've never tried a flourless cookie, but I'm curious. It sounds like a delicious flavor. There will be a nice treat for my son and his friends who are hanging out here this week. These sound amazing. I'm def going to save this so I can make them. Yum! These would be such a treat, yum! 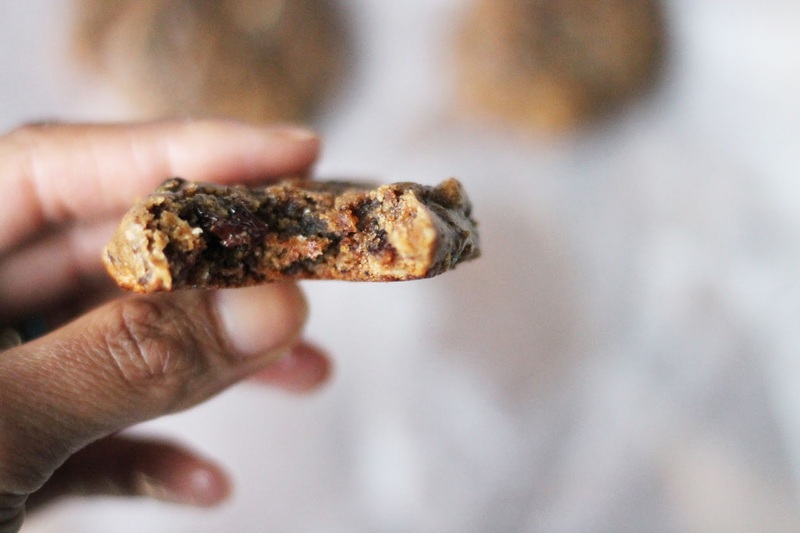 I love a good chewy cookie and the ingredients in these sound great. I really appreciate this recipe since my 3 year old nephew is allergic to eggs, dairy and gluten. I cannot wait for him to try these delicious cookies! 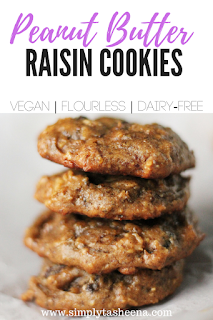 If you change those raisins to chocolate chips, I would be all over these! Ha! My grandmother loved raisins, so she would have been a big fan. 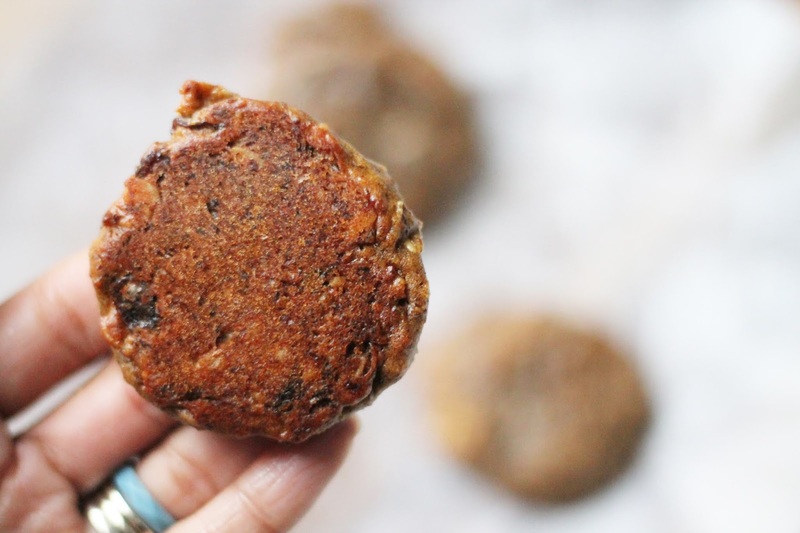 These Vegan Flourless Peanut Butter Raisin Cookies look pretty darn good! They seem so easy to put together too. Thanks for sharing your recipe! My wife eats a mainly vegan diet, but she definitely has a sweet tooth and a lot of times she doesn't have a good vegan dessert to try. These look perfect. 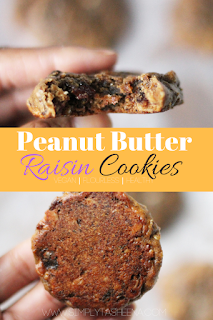 This flour less peanut butter raisin cookies looks delicious. I need to try it. These look too good to be flourless! Yum! I am going to make some of these soon. It does look chewy and delicious too. Love the fact that it is also healthy. I can't wait to give this a try. I go crazy over peanut butter cookies! I need to put this recipe on my next week baking list! 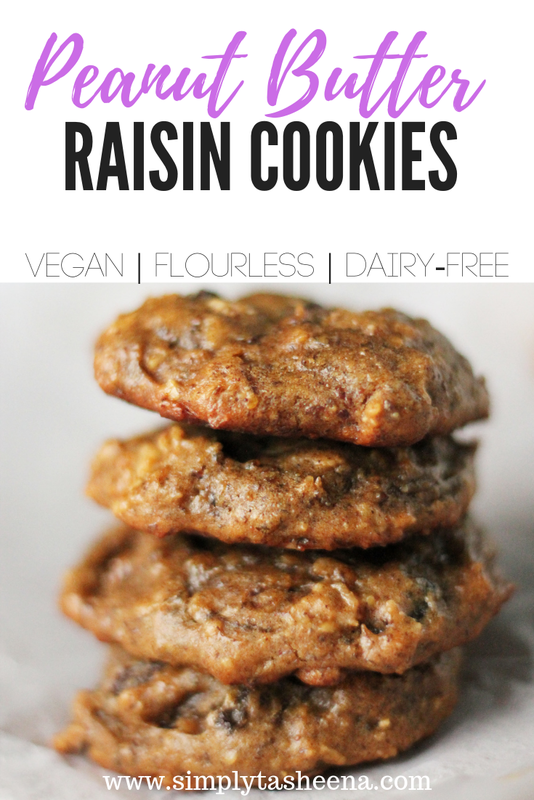 These sound intriguing, I've never had peanut butter raisin cookies. I'm always looking for good vegan recipes. You had me at "flourless". Seriously? This raisin cookies look so tasty. Can't wait to try this recipe. Wow! I would love to try this out! Knowing that this is vegan makes me much more interested on trying. I hope I could do it successfully.